Wilton is a traditional, historic small town in the Monadnock region that offers rural living and natural beauty, yet is minutes from the state highway with fast access to NH's major cities and an hour and half from Boston and the seashore. With two-thirds of its land under conservation or in current use and with among the cleanest water in the state, it has been saved from suburban sprawl. Sitting at the confluence of the Souhegan River and Stony Brook, Wilton also offers a downtown Riverwalk, hiking trails, a swimming pond, snowmobile trails and many other recreational opportunities. Wilton has a small and friendly public school system covering grades K-12, a private Waldorf Pre-school-12th grade (High Mowing) and several other private schools. Its charming Main Street is home to artists, shops, restaurants, music, the Wilton Public and Gregg Free Library and the historic Town Hall Theater which attract visitors from neighboring towns and across the state. In old Wilton Center is the nationally-known Andy's Summer Playhouse, producing original works performed by talented young people from across the region. Nearby is Frye's Measure Mill, which is on the Historic Register and has been water powered since the 1850's, producing Shaker box reproductions. 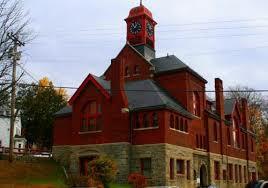 Wilton is home to entrepreneurs, retirees, young families, students, artists, farmers, and many others. With friendly people, a vibrant arts community and modern infrastructure, it offers an affordable and ideal living, working and recreational environment.